Green Building Store is introducing the NEW Novus 300 MVHR (mechanical ventilation with heat recovery) unit from PAUL in Germany at its Ecobuild stand N53 (1st-3rd March 2011, London). The Novus 300 has the highest Passivhaus-certified MVHR heat recovery rates currently available in the world, with a heat recovery efficiency of 94.4/ 93%*. The unit’s outstanding heat recovery efficiency will offer designers greater flexibility when designing Passivhaus buildings in PassivHaus Planning Package (PHPP). The Novus 300 is also SAP Appendix Q listed and is ideal for medium/ large buildings of between 100 -300 m2. Green Building Store is the agent in England & Wales for German MVHR specialist PAUL, which makes some of the most technically-advanced MVHR systems in the world. PAUL pioneered the use of high efficiency counterflow heat exchangers and continues to be at the leading edge of Passivhaus ventilation. 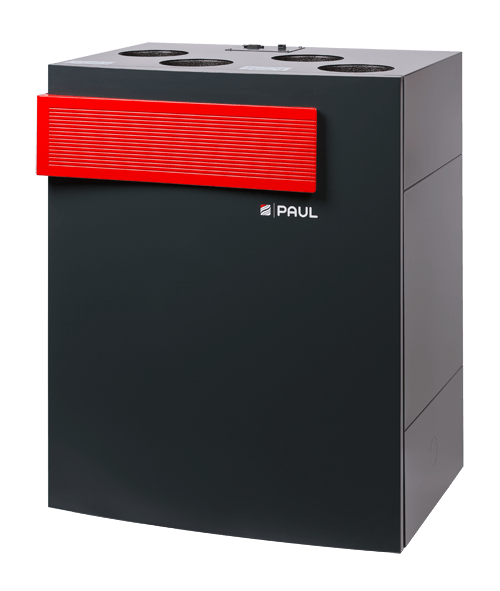 “PAUL’s Novus 300 MVHR unit offers Passivhaus designers a huge step forward because of its high levels of heat recovery efficiency, functionality and build quality. 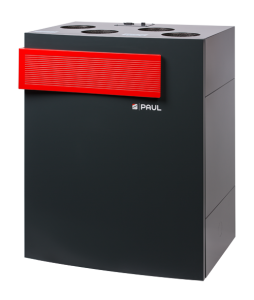 The introduction of ultra efficient MVHR systems like the PAUL Novus 300 unit into the UK can only help support the growth of Passivhaus design in the UK”. Green Building Store also offers a specialist Passivhaus MVHR design service which helps ensure the PAUL mechanical ventilation and heat recovery systems work at their optimum for Passivhaus and low energy buildings. Good MVHR design optimises the efficiency of the heat recovery, prevents noise, mechanical vibration and internal turbulence problems and maximises the energy efficiency of the system. Green Building Store’s MVHR design service offers technical support from design to commissioning. There will be a working model of the Novus 300 on display at Green Building Store’s stand N53, along with an example MVHR ducting system, including a variety of air valves, frost protection units and filter extracts to complement the MVHR unit. In addition Green Building Store will be offering a preview launch of the Alphawin Passivhaus window range at stand N53. Green Building Store’s Passivhaus specialists will also be on hand to discuss projects, as well as offering a range of free Passivhaus technical resources and literature.